It went without saying between me and my husband that there was only one city in Europe that we would travel to more than once during our time abroad. This is a city that we love with an equal level of affection; he for the history, me for the scenery, both of us for the magic. That city is Venice. As I culled and edited my photos from this recent visit, I wondered how I could even begin to organize the nearly 400* images I had in front of me. (*number of images post-culling. Like I said, SO.MANY.PHOTOS) Scrolling through them, it became very clear what the first category should be: that magical Venetian light. 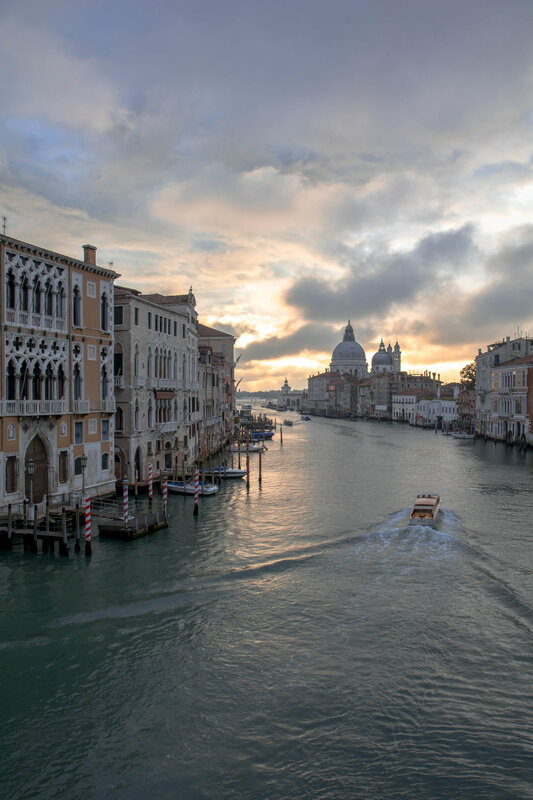 Venice glows in the late afternoon sun. One morning, I woke up before 6am and high-tailed it to Piazza San Marco to catch the sunrise. A low cloud cover on the horizon kept me from getting that iconic sunburst shot through the columns of the Doges' Palace, but it diffused the early morning light so beautifully that I decided to keep shooting. 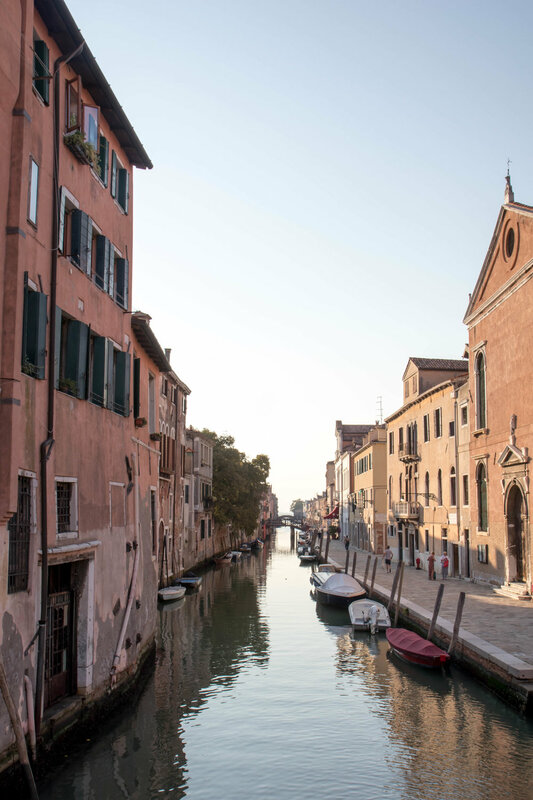 Once the sun was up, Venice managed to make even that harsh midday sun appealing. There's nothing quite like the light hitting those glorious buildings, making the facades glow. This may only be rivaled by the light dancing on the water and casting pretty shadows on the canals. And if I wasn't already convinced of Venice's magical powers, the golden hour arrived, followed by that soft twilight, and it occurred to me that this place might be a little piece of heaven on earth. It is. Stay tuned for Part II of That Venetian Magic, featuring Venice's colorful cousin, Burano.